the little farm diary: No T.V........What???? If you happened to follow along with my "How To Survive And Thrive On One Income" posts, then you know that you have to trim ALL the fat in your spending. For us, that meant t.v watching. The satellite bill had to go. We really didn't watch many shows any way. My biggest beef with t.v. wasn't the shows that we allowed our children to watch but the commercials! Oh, how I hated those things! You know, how you meticulously handpick an "appropriate" show for your little ones, and then up pops a commercial for a very adult show coming up on Friday night? What??? Why THAT commercial during my little ones show? 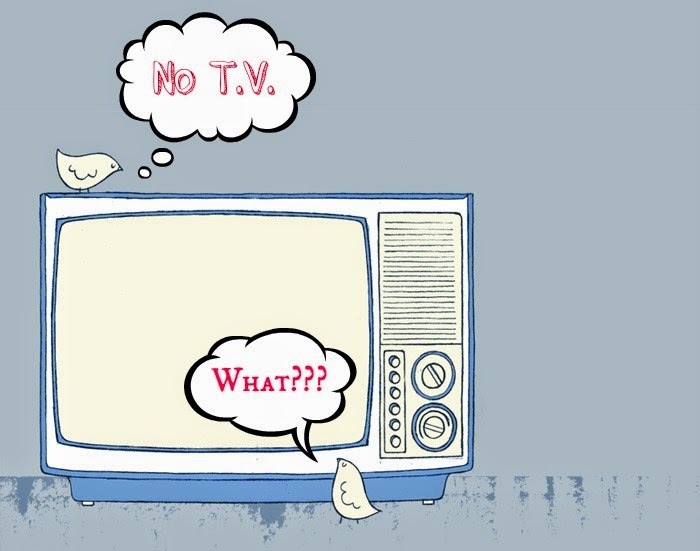 So, abandoning the t.v. bill was a no brainer. Was there withdrawal- YES. Only about a week though, and we've never looked back. It's one of the BEST decisions we have ever made! Not only was it a mega monthly money saver, but I really believe that building a strong moral foundation in our children was so much easier without the television. So, are you wondering what in the world do we do instead? Well, since you asked my dear, I'll tell you. Services like Netflix, for example, have been wonderful. Netflix has a VERY low fee for membership and I can pick the shows that my children are allowed to watch. And the biggie- NO COMMERCIALS!!!! See, you can have your cake and eat it too!! If you have ever entertained the idea of ditching the t.v., I'm here to tell you that yes, it can be done, and you won't even miss it a little. It's just one of those extras that a one income family doesn't need. On Monday, I'm going to share my favorite series with you that you can find on HULU, another alternative to cable t.v. And the best part, this show is FAMILY FRIENDLY. Whoa, that's big! There are so few shows any more that we can enjoy as a family, but this one is amazing! Don't forget to join me back here Monday Morning! Enjoy some fresh salsa this weekend. I know, totally random, but I just LOVE salsa ;). Happy Weekend Everyone! Labels: family, helpful hints, homeschool, living intentionally, simple living, surviving on one income, t.v. We use Netflix too and I think it's the greatest thing. We do get free cable included in our rent and have about 30 channels available to us. It's nice to have some of them, but we still prefer Netfilx. It's nice to hear that the withdrawal didn't last too long! Don't you just love Netflix! Our 7 year old is a documentary buff and he just LOVES Netflix too! Always a pleasure to have you visit Debbie! Hope you have a restful weekend on that beautiful porch of yours! I completely understand Julia. Thank you so very much for hosting Merry Monday Linky and thanks also for stopping by! Thanks so much for sharing this great post at the Say G’Day Saturday Linky Party Amy. Lots to think about here. I'm not sure I could give up my TV though! I’ve given your post a +1 and shared on Pinterest. Thank you as always Natasha for sharing! And a huge thank you for hosting your wonderful Say G'Day Saturday Linky Party. I look forward to Saturday EVERY week! This is something that the hubby and I have been tossing around too. I'd like to cut the cable and just use Amazon and hulu. Erlene, I highly recommend it! I am about 75% sure I am going to do this, just have to convince my other half! Loving all of your money saving posts. Stopping by from Sincerely, Paula's Blog Party. Go for it Mary! You won't ever miss it! Thanks for stopping by today! We don't do tv, either, and think it's wonderful! 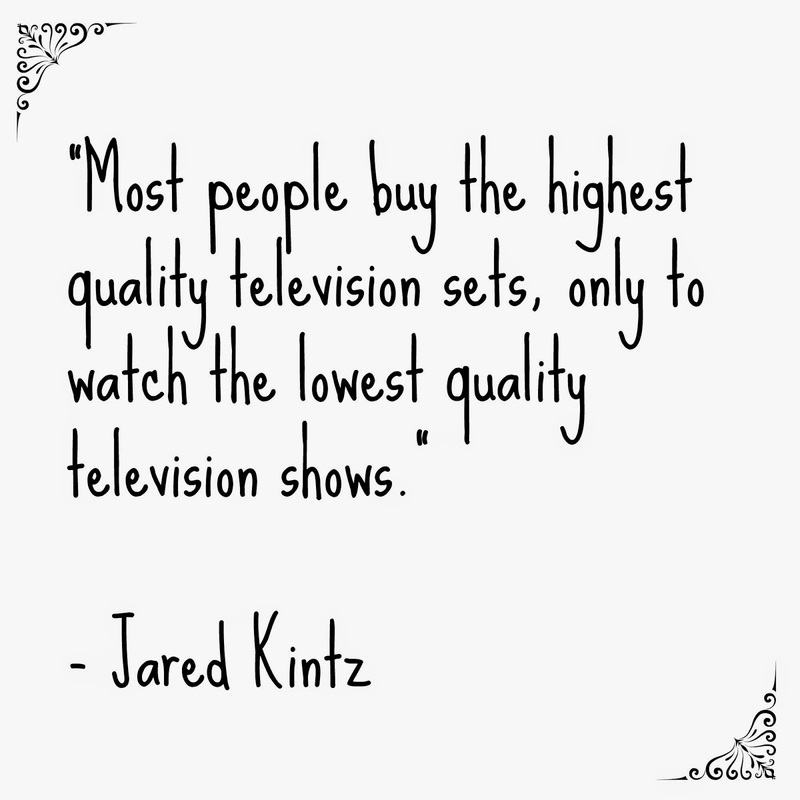 We watch some shows for free online, but also get most our our stuff for free from the library! Don't you just love it, Lisa! Best choice we ever made! Thanks for stopping by!